We've seen chain with a very-low tensile strength being marketed. The tensile strength on 667H chain we had tested was only 5,500# versus 9,500# on the chain that we sell. Avoid the "horror-stories" of premature chain-failure and accelerated sprocket wear from low-tensile chain. 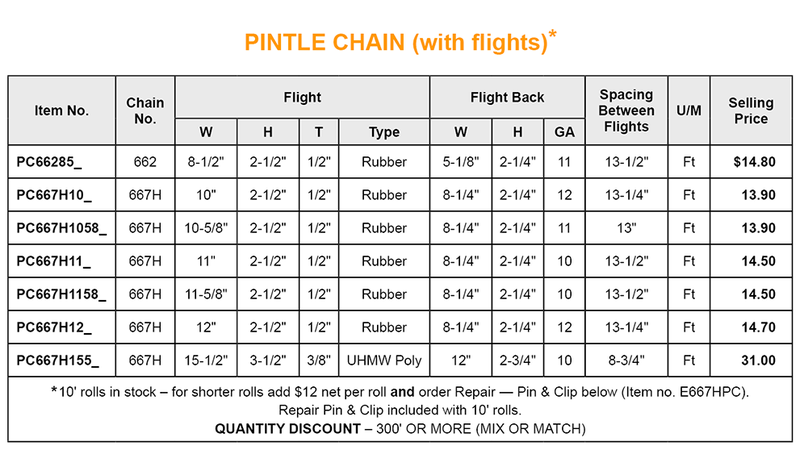 We offer high-tensile chain... and at a lower price!